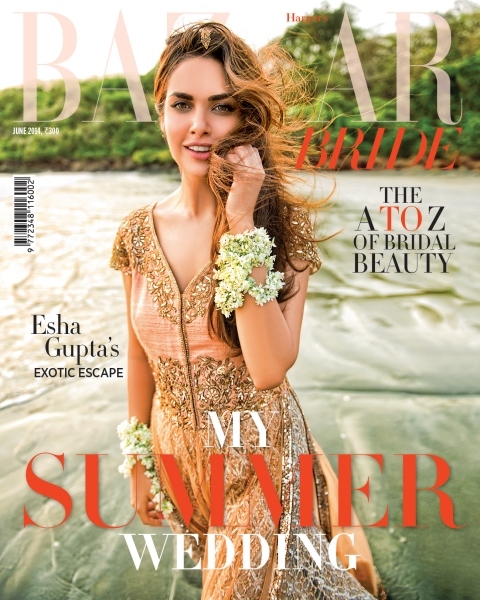 Esha features in this month’s Bazaar Bride gracing the cover in a Manish Malhotra floor-length anarkali with a Payal Singhal lehenga and a Suhani Pittie maang tikka. Wearing a Suneet Verma sari, Sonam attended a recent do. Soft wavy hair and a gorgeous pair of earrings is all that it took to finish out her look. Catch a previous sighting of the sari here. 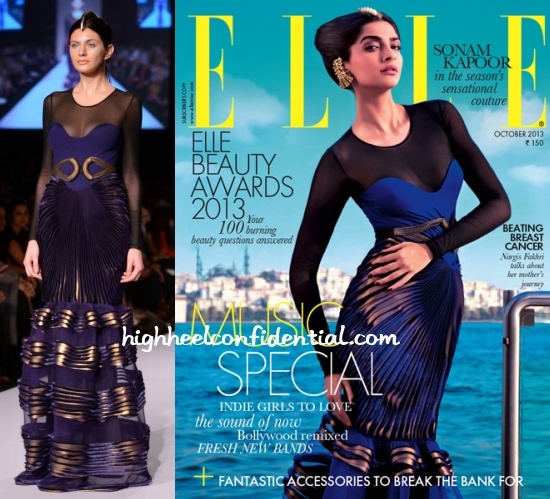 Shot in Istanbul, Elle’s Oct spread featuring Sonam Kapoor is quite a delight featuring the very best of designers. Yep, we’re just a tad bit envious. Catch the rest of the shoot inside. 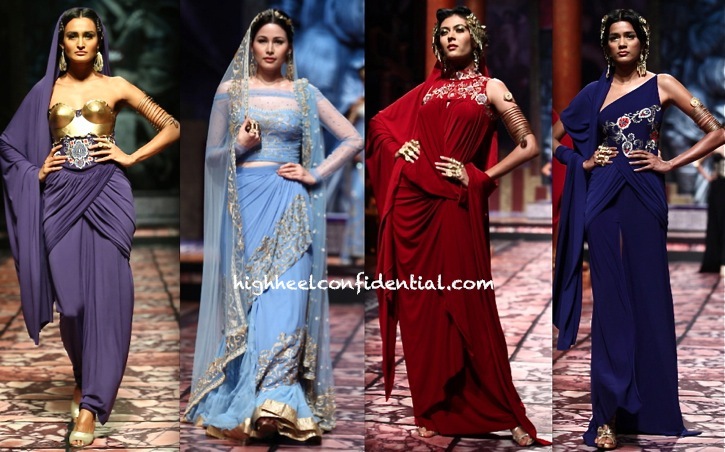 Inspired by Pompeii, below is your look at Suneet Verma’s presentation, ‘The Golden Bracelet‘. 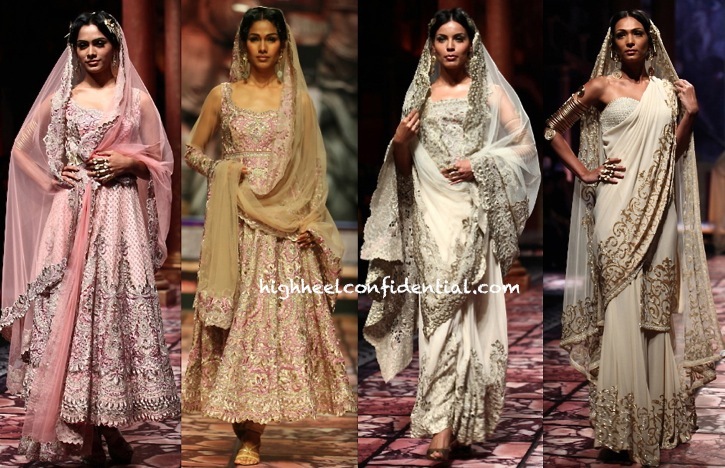 And the Bollywood actor of choice for this showing was Chitrangada singh. In a Suneet Verma sari and make you stop in your tracks jewelry, Sonam Kapoor attended the India International Jewellery Week press con, an event that she is a face of. The sari with its off-the-shoulder blouse may not be our cup of tea personally but, there’s no denying it’s a look Sonam wears well. 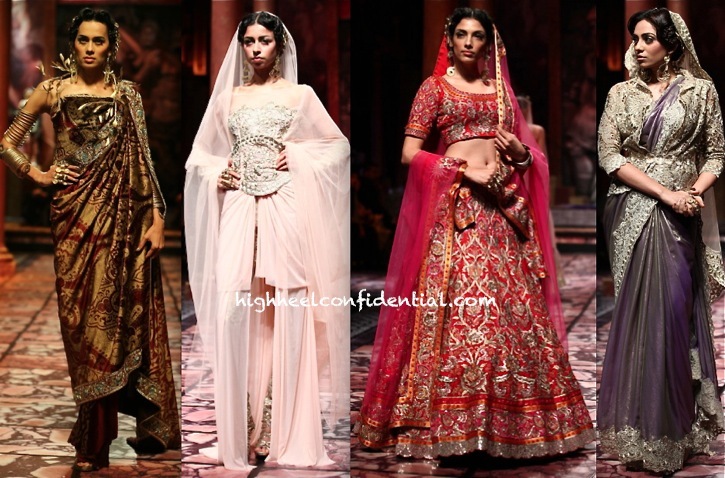 P.S: Speaking of Suneet Verma saris, Pernia Qureshi paired hers with a JPG bustier. See here.